Project description: During the building of wellhead pressure assembly, estimated for several years, special vessels transfer heavy-weight modules - from 900 up to 1800 tons each one, following the route through the port of St. Petersburg and then via the inland waterways of Russia to the Caspian sea in Kazakhstan, in customs transit mode. 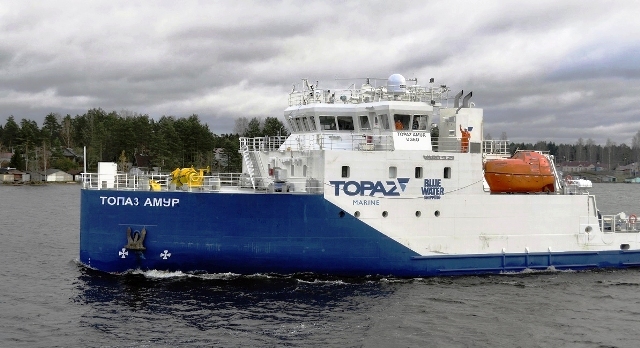 Task: The first vessel of this project was the "Topaz-Amur", which in 2017 performed through passage via the port of St. Petersburg. 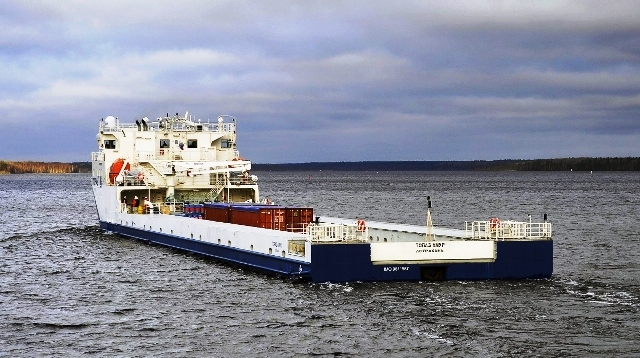 We, as subagents, had a complex task to present the vessel to all the supervisory authorities for obtaining permission to follow on inland waterways, including the customs transit procedures for cargo, the inventory and provision supply, arrangement of the instrumental tests for the issuance of sanitary certificate. Result: As a result of interaction with the classification society, sanitary-quarantine control department, customs and immigration authorities, port administration, including the harbor Master, Volga-Balt administration and other authorities - the permission to follow the inland waterways was received in the shortest possible time cutting ship owners expenses.